The 21-year-old American actress Peyton R. List attends YouTube original’s “Cobra Kai” season 2 premiere at the Paley Center in Beverly Hills. The 42-year-old actress Piper Perabo, who played Annie in “Covert Affairs” and appeared in “Cheaper by the Dozen 2”, was seen out in NYC. The 23-year-old an English actress Sophie Turner, who played Sansa Stark on HBO’s “Game of Thrones”, in a white T-shirt leaves Craig’s Restaurant in West Hollywood. The 29-year-old singer and songwriter Taylor Swift, who released her first pop album “1989” in 2014, in a red blazer returns home from Gigi Hadid’s Birthday in New York. The 34-year-old actress Scarlett Johansson, who was cast as the superheroine Black Widow in the Marvel movie series, attends “Avengers: Endgame” premiere in Los Angeles. The 36-year-old Bollywood actress Priyanka Chopra, who in 2018 married Nick Jonas, heads out to dinner in Atlanta. The 35-year-old actress Tessa Thompson, who played Bianca in the film “Creed”, attends “Avengers: Endgame” premiere in Los Angeles. 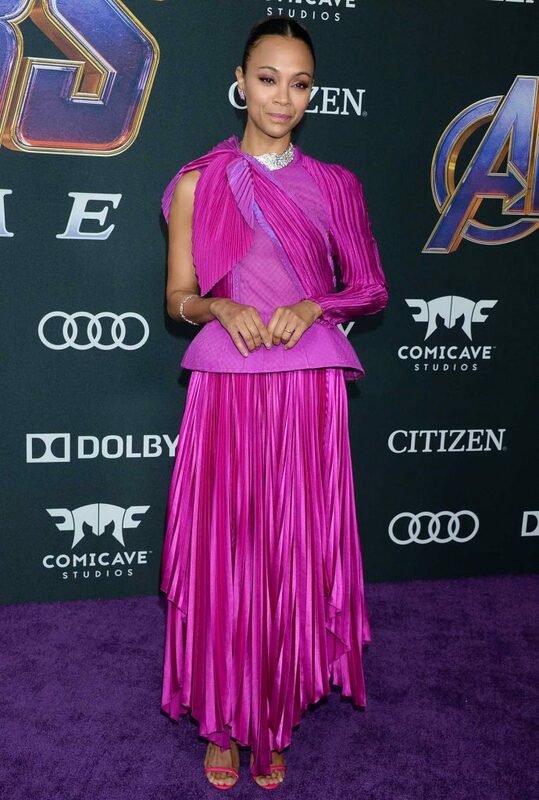 The 40-year-old actress Zoe Saldana, who supplied the voice of Neytiri in the 2009 film “Avatar”, attends “Avengers: Endgame” premiere in Los Angeles. The 43-year-old actress Reese Witherspoon, who starred with Vince Vaughn in the 2007 film “Four Christmases”, in a pink coat arrives at Sunday Church Services in Los Angeles. 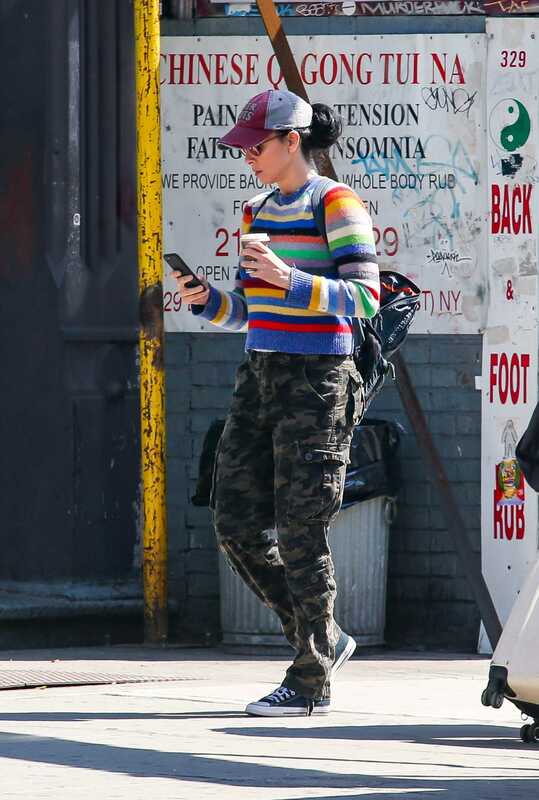 The 48-year-old comedian, writer, and actress Sarah Silverman, who starred in and produced “The Sarah Silverman Program” from 2007 to 2010, in a camo pants was seen out in NYC.